Chanakya was one of the best scholars and advance thinkers of the world who has given us a great insight into human behavior through his writing as Canakya Niti. Today, we can find many books on Chanakya and Chanakya Niti which makes it difficult for us to find the right book to read. There are some books which go into detail while there are some which are just a shortcut to original meanings. The original Chanakya Niti is available in Sanskrit, therefore, all book in Hindi and English are translated from Sanskrit. In some books, we may find errors in translation. Therefore, it is important to choose the right book from good and knowledgeable author to get the right meaning of Chanakya Niti. Here I am presenting you few books related to Chanakya Niti which you may find helpful for reading. Sri-Canakya Niti by Patita Pavana Dasa Adhikari- A well written book on Chankya Niti which offers much more than it. You also get a chance to learn many things from Shukra neeti and Brhaspati neeti shaastra. This is a well explained book and it helps you learn more about life and human behavior. After reading this book, you can become much clearer on what is right or wrong in life and how to live a peaceful life. 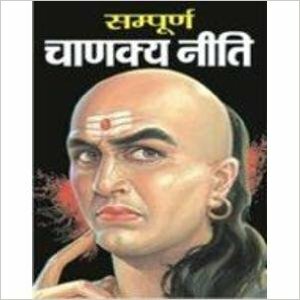 Sampoorn Chanakya Neeti, Sutra Evam Jeevan Parichay (Hindi) - This is the first book which introduced Chanakya Niti to me. I bought this book during my Varanasi visit. I have read this book many times and found it explanations very authentic and practical. So far, this book is only available as Paper Book and I think it is wise to buy a paperback of Chanakya so that you can read it again and again. This book is also important reference. In this book, you can read complete Chanakya Niti in Sanskrit with meaning and explanations in Hindi. I will not say that this book is 100% accurate; however, it is sure it is near to best. Chanakya Neeti Paperback (English) by B.K. Chaturvedi- This book I will refer to English readers who want to read only Chanakya Neeti and meanings of Salokas in English. This is a decent book for readers who are only interested in simple Chanakya Niti in English Language. 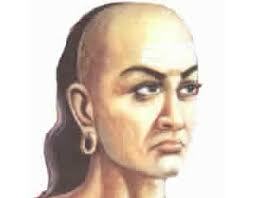 I do believe that it is important to start with a simple to book to know the real meaning of Chanakya Niti. If you much more than buy the book Sri-Canakya Niti as I mentioned above. Sampurna Chanakya Neeti (HINDI) by Vishwamitra Sharma- If, you are looking for an economical and good option is Hindi, then I will recommend this book for you. It is a nice book with a decent explanation of Chanakya salacious. This book provides a good learning of human behavior and Chanakya Niti. Chanakya Niti Evam Kautilya Arthshastra (Hindi) by Prof. Shrikant Prasoon- This another book on Chanakya Niti which also give the advantage of reading Kautilya Arthshastra. Kautilya Arthsahastra is a collection of 6000 hymns in Sanskrit, which tells that how a state or king should manage its kingdom, therefore, you can learn many management techniques by reading this book. This book can make it easy for you to understand management and economics.